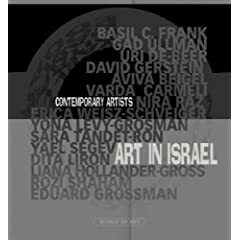 Art in Israel - Contemporary Artists is one of the most up-to-date publications to offer an authoritative overview of art in Israel: 15 representing artists with over 215 works and features pithy introductory commentaries by the artists or critics. graduate (MA 1979), Italian Government Studentship (Rom 1986), multimedia and graphic artist, Petru has realized around 200 individual and international exhibitions and has works in museums, public, corporate and private collections. Petru Russu is the founder and director of Art Addiction International Gallery (Stockholm 1992-1997) art company registered by the Swedish Patent and Registration Office, than Piccola Galeria Correr (Venice 1997-1999). Art Addiction Medial Museum /www.artaddiction.net / sine 1992 is the first ever and the oldest art site on the web, also AAMM is the largest virtual art gallery including 11 online global art annual exhibitions on view and one medial global art biennial on display. From 1999 Petru Russu is the publisher and editor of World of Art /www.worldofartmagazine.com / the global art magazine and contemporary artist art books, publishing company registered by the Swedish Patent and Registration Office and editorial and business ofices in Stockholm and London. From 2006 Petru is the publisher and editor of Masters of Today Book Group - MOT /www.mastersoftoday.com / the global art books publishing with editorial and business ofices in Stockholm, London and New York, a professional alternative that provides artists with a variety of options and the advantages of publishing. M.O.T. and W.O.A. unique publications are distributed by Ingram (USA) in newsstands, bookstores and eCommerce worldwide including Barnes & Noble, Borders, Amazon, Wal-Mart and others. Our distinguished collaborators are Guggenheim Museum and MoMA in New York, TATE Modern in London, Rivoli Museum in Torino, Moderna Museet in Stockholm, Musée D Art Moderne ARC Paris, The Getty in Los Angeles, Art Basel, the Venice Biennial and others. 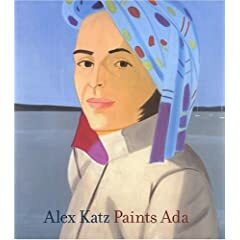 For almost fifty years, the American artist Alex Katz (b. 1927) has painted a series of portraits of his wife, Ada. This beautifully illustrated book is the first to focus on these iconic paintings, which are unprecedented in their focus on a single figure over many years. In this volume, leading scholars explore the allure of Ada as a subject and the art-historical importance of Katz’s portraits, asking fascinating questions about Katz’s methods and intentions: What do these paintings reveal and conceal about their subject? What does Katz do in the studio to convey such vitality on his canvases? How does Katz’s work fit into the history of portraiture and the art movements of the 1960s and beyond? Acclaimed art critic and curator Robert Storr examines Ada’s alluring persona, comparing her to other “goddesses” who have captivated centuries of portrait painters. James Schuyler recounts a day in Katz’s studio, and the late British art critic Lawrence Alloway explores the role of repetition in the Ada portraits, which he views as a cycle of images with antecedents in Velázquez and Rembrandt. Featuring the renowned series of Ada portraits, this book demonstrates the cumulative power and enduring delight of Alex Katz’s achievement, as well as his devotion to his greatest muse. Robert Storr is dean of the Yale University School of Art and Consulting Curator of Modern and Contemporary Art at the Philadelphia Museum of Art. His numerous books include Elizabeth Murray, Gerhard Richter: Forty Years of Painting, and Chuck Close. Lawrence Alloway (1926–1990) was professor of art history at the State University of New York at Stony Brook from 1968 to 1981. His books include American Pop Art and Topics in American Art Since 1945. James Schuyler (1923–1991) is author of The Morning of the Poem, which won the Pulitzer Prize in 1981, and the recently reissued novel What’s for Dinner? 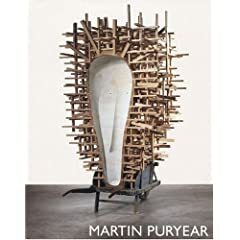 Over the last 30 years, Martin Puryear has created a body of work that defies categorization, creating sculpture that examines identity, culture and history. Departing from the impersonal and machined aesthetic of Minimalism, Puryear's work combines Modernist abstraction with the traditions of crafts and woodworking, in shapes informed by the natural and by ordinary objects, made with materials such as tar, wood, stone and wire. It is quiet but deliberately associative, encompassing wide-reaching cultural and intellectual experiences and drawing on a huge and varied reserve of images, ideas and information. As a high school and college student, the artist studied ornithology, falconry and archery, and in the 1960s he volunteered with the Peace Corps in Sierra Leone, where he schooled himself in the region's indigenous crafts; these are only a few of the influences and methods that have embedded themselves in his work. And the sources of his works are no less varied than the possible and open-ended interpretations: "I think there are a number of levels at which my work can be dealt with and appreciated," Puryear said in a 1978 interview. "It gives me pleasure to feel there's a level that doesn't require knowledge of, or immersion in, the aesthetic of a given time or place. "This volume is published on the occasion of the artist's Fall 2007 exhibition at The Museum of Modern Art, which travels from New York to Fort Worth, Washington, D.C. and San Francisco. It follows Puryear's development from his first solo show in 1977 to new works that are presented here for the first time and contains essays by John Elderfield, Michael Auping and Elizabeth Reede, and a conversation with the artist by Richard Powell.